New ZappiCo Construction in Chappaqua, NY!! 11 Point Place (lot 7) To-be-built once sold allowing for complete customization by buyers. Here at ZappiCo, we custom build homes to your exact liking! All vacant lots can be built on. This home comes standard with beautiful hardwood floors on both first and second floor, marble tiles in the master bathroom, granite kitchen counter top and beautiful moldings throughout the whole house! This home also comes with a 2 car garage and an unfinished basement. ****Call 914-588-8294 to log appointment. Model Home available at 4 Point Place, Chappaqua NY. Floor Plans and site plan available. 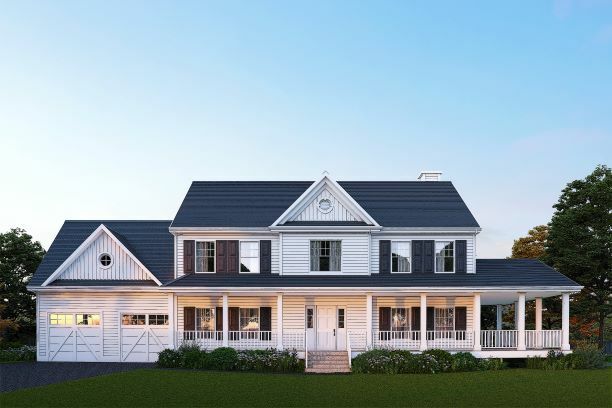 A community of Eleven Custom Luxury Homes to-be-built, surrounded and protected by a green belt of land in beautiful Chappaqua New York with Chappaqua Schools. Photos are representative of previously built/sample home and include options not included in standard pricing. First-floor master suites available and can be built here. Square footage 1st and 2nd floor only. Come customize your new home with ZappiCo. Locating Point Place with GPS: Use Morning View Ct Chappaqua for GPS**Community HOA.